It isn't often that a journalist is asked to write something in the first person. Given the narcissistic tendencies of most of the individuals who make a crust in the industry, that's probably for the best. But seeing as I've accepted the offer to draft this column, I'm going to take the indulgence one step further by ignoring, or not accepting, the premise of it. The last time I did something like this, penning a letter to my 17-year-old self - a piece I was paid actual money for - it included the following line: "Remember to forgive quickly because you're nowhere near as good at hating as you purport." That was in relation to the badlands of professional politics, where I spent my 20s, but it translates to this cricket caper too. So instead of building the case as to why I hate to love Michael Clarke, I'm going to try something else and explain why I have, so belatedly, tried to understand the former Australian captain, having spent so many years crudely dismissing or invalidating him. When I put my hand up to write the Wisden Almanack essay on Clarke when he retired in 2015, the reflection it demanded made me begin to realise how barren my sledging earlier had been. More to the point, it became increasingly obvious that, through whacking him, I was really whacking parts of my own personality. Take the way I would bellow out at the MCG early in his career. "Hey Clarke!" or something as shamelessly attention-seeking. "You'd rather be at the Boxing Day sales today rather than the Boxing Day Test!" Muffled laughter. I thought it was a pretty good gag and wheeled it out for about ten years. My callow justification? He was picked ahead of Brad Hodge, who like me, is a Victorian. Of course, each Boxing Day morning, I'd be at the sales before I went to the cricket. How about the bit where we tore him down for leaving a Test tour in order to have an argument - and ultimately break up with - his then fiancée? Oh, right. So the countless times I have made close friends uncomfortable or worse by fighting with my own girlfriends as a younger bloke was fine, was it? Hypocrite. "It's complicated," I wrote of Clarke and his relationship with the Australian public, adding that the old Facebook idiom was appropriate for the first Gen Y leader of his nation. The thesis ran that, when push came to shove, the people only had his back so long as he was breaking records - as he did relentlessly at the peak of his powers. In those finest Michael Clarke years, when he was wearing the captain's armband and was near enough to being the best player on the planet, in a side where he was the most important player by degrees of magnitude, we were with him. More to the point, I was too. While some sections of the cricket community fixated belligerently on a character they had made their mind up about for never having quite fit the mould, I would point to the currency of our sport: the numbers. He must be a good egg. Didn't you see all those tons? No less shallow than I had been before, in other words. Predictably, public opinion swung just as hard the other way when the runs stopped. This, roughly, is when I popped up on the cricket-writing scene. Fast forward to the West Indies in 2015, my first overseas tour covering the Australian team. 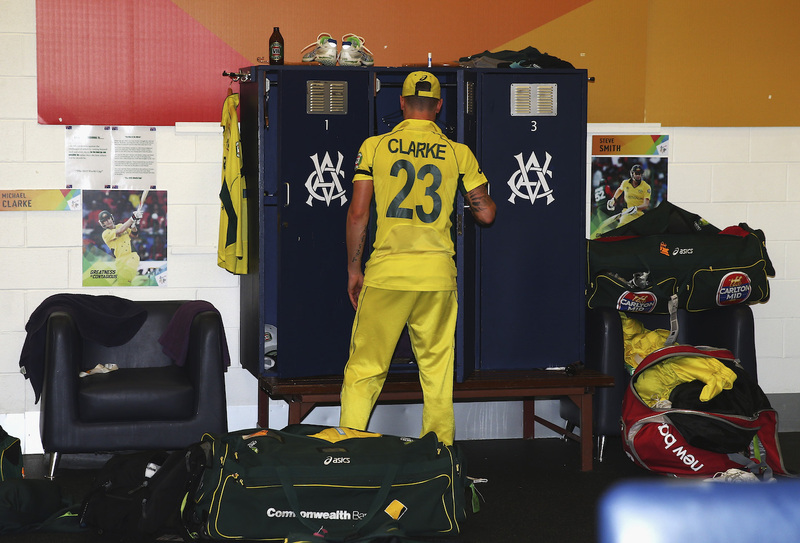 I'd read of Clarke's petulance during the successful World Cup campaign and had no reason to question it. New to the circuit, my first job was to spend two minutes interviewing him ahead of the first Test. For reasons that made no sense to me, he gave monosyllabic answers to, seemingly intentionally, spoil the radio spot. A bit embarrassed and a lot angry, I responded by repeating the one dismissive quotable answer that he gave me - about not caring much of his legacy as captain - over and over in my reporting and commentary until his international retirement came a few months later in England. He put in a similar stinker when addressing the media before his final Test, sabotaging a conversation with travelling journalists by speaking in the blandest cliché possible. F*** this bloke, I concluded, and said as much to anyone who would listen. There's a bit missing from that timeline, of course, where his best mate died just a few months earlier in the most tragic and public accident one could conceive. Did I ever consider, even for a moment, how I would respond to such a traumatic event? Of course, I didn't. Because Clarke turned out and scored the gutsiest of tons in Adelaide just a fortnight after that unimaginable sadness, then, following an injury layoff, managed to get back for that World Cup, the story moved on. But he didn't. "I shouldn't have played another game," he said when releasing his book, a couple of years on. "My career should have stopped then. It was too hard for me." He went on to explain that the grief took far longer to process than anybody realised. That in the West Indies, when I was running my mouth the tears were running from his eyes as he sobbed himself to sleep each night as it all caught up with him. 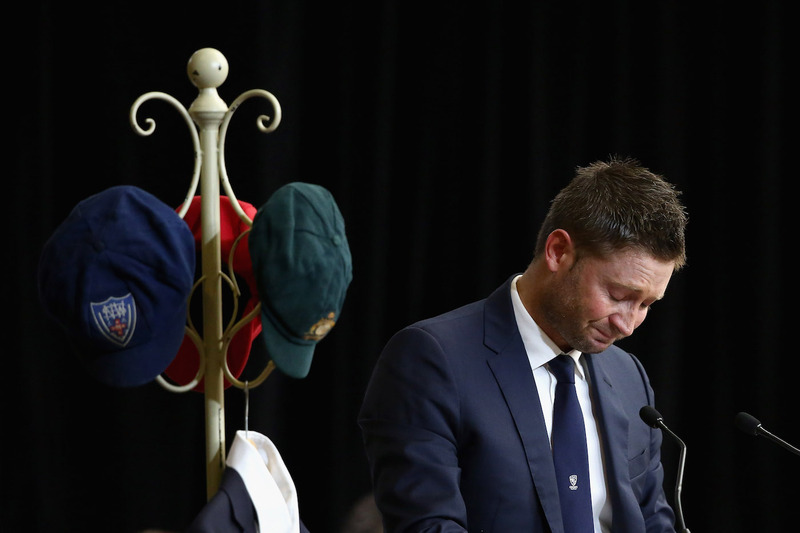 Clarke continued: "I didn't allow myself to grieve at the time because I had responsibility to his family, firstly, but then also as Australia's cricket captain to my team-mates and getting us back out onto the field." 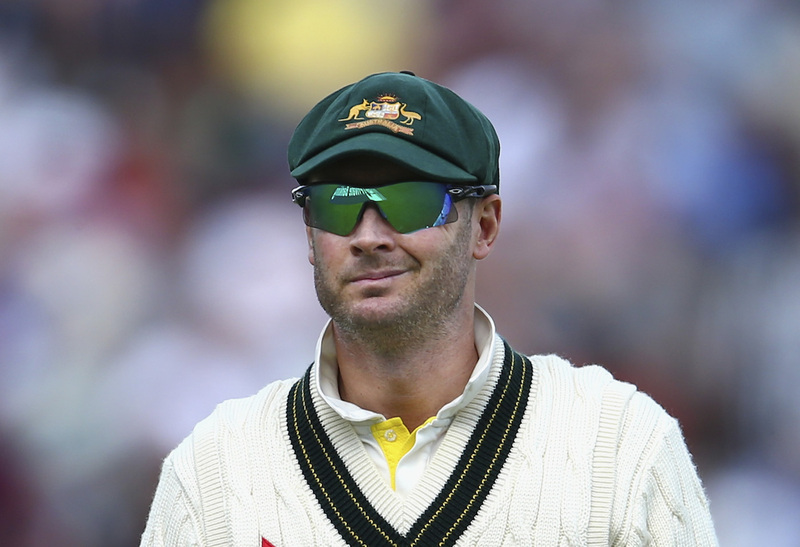 Those months abroad in the months after Phillip Hughes' death, Clarke said, were the worst of his life. All while his wife was at home pregnant and unable to travel and he was, quite clearly, estranged from many of his colleagues. Post-traumatic stress, anyone? Yet there I was, in the cheapest seats with the cheapest words. Sorry, Michael. So no, I don't love, hate, nor hate to love Michael Clarke. And despite what I said at the top, it is probably a stretch to say that I understand him, either. But I'll keep trying. That's not much of a resolution but maybe that's the lesson: life isn't as simple as divvying up the good and bad guys, and attempting to judge them this way lessens us all. Where's the love for Clarke?